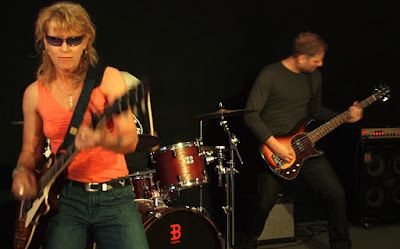 NASHVILLE, Tenn. (July 2015) –Chakra Bleu's rock/pop tune "All of Me" has hit number one on New Music Weekly's Top 40 Indie Chart, while climbing into the top 10 on the NMW mainstream Top 40 and Hot 100 singles charts. "All of Me" has been steadily edging up the charts with thousands of spins since its release on April 18. Bleu co-produced the recording in Nashville with legendary musician John Billings, a former bass player for the late Donna Summer. An accompanying video was produced by Ray Boone of Music City Video. "It's wonderful to see 'All of Me' climb into the top 10 on various singles charts," said Bleu, who is already writing and recording songs for her next album. "I'm humbled by this stellar progress, as I know I'm a small fish in a big sea. I couldn't accomplish this without the wonderful team of professionals around me." "All of Me" is the title track and the second single from her current album. Its number one ranking on the NMW Top 40 Indie Chart for three consecutive weeks placed it above other songs recorded by artists such as Rhianna and Brandy Moss Scott. The song ranked just below Taylor Swift at number four on the Top 40 Main Chart (for three consecutive weeks) and number seven on the Hot 100 Chart. "'All of Me', is a savory treat of pop-rock and R&B -- sweet and sultry with a shake of sass," said Bleu, who recently released a new video and electronic dance single called "When We Dance". The song, which was released by 1746 Records, is available for 99 cents. "All of Me" and other songs on multiple albums can be downloaded on iTunes at https://itunes.apple.com/us/album/all-of-me/id882273855?uo=4 and her website at www.ChakraBleu.com. The song is also available at other major online stores such as CD Baby, Amazon, iHeartRadio and Sony Music Unlimited. A free video download is available at https://youtu.be/OLvBUksVBKc . The artist describes "All of Me" as an "electrifying song" that is about moving forward freely and confidently in love. The video shows the artist tearing up a love letter and covering it with daffodils on the floor. She eventually speeds away on a motorbike, leaving her love-lost past behind. A high-energy stage performance with full band shows off her gritty vocals and elaborate finger work on electric guitar. The single was recorded in Nashville at Funky Tymz Studio. It features Bleu on vocals and electric guitar with contributions from veteran session musicians John Billings on bass, Brice Foster on drums/percussion, Tom Britt on lead and slide guitar, Ronnie Godfrey on keyboards and organ, and Dana Robbins on saxophone. The single is being promoted to radio by music industry veteran Gary Lefkowith. Whiting Publicity and Promotions is handling publicity. "All of Me" rocks away the pain with soaring vocals, crying guitar, driving bass and soulful sax. "Nothing's binding me now... There's no baggage dragging me down," Bleu sings with emotion. "I'm open, light, and free as a breeze... It's just you and me." According to Dave Carew, a writer for the blog Underground Nashville, Bleu is "hands down one of the most original and distinctive pop/rock/Americana artists ever to grace the underground Nashville music scene. 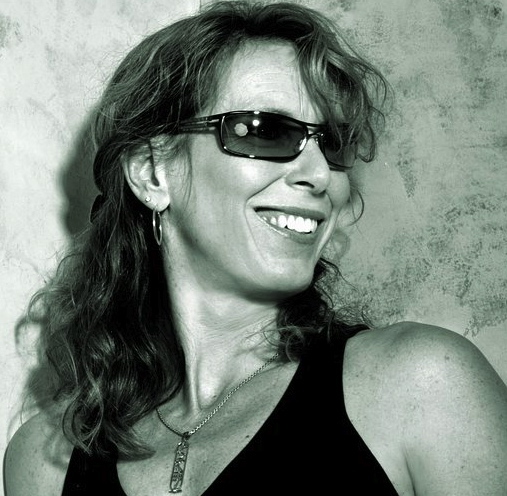 Inspired by everything from the styling of bands like Heart and the Cowboy Junkies, to transcendent New Age thought, she has forged, over the past decade, some of the most uplifting, eclectic, thought-provoking, and empowering music ever created in Music City USA." Born and raised in Spokane, Wash., Bleu grew up with a passion for music and the outdoors. She started writing songs in middle school and performing with jazz choirs and grunge bands in high school and college. On weekends, she headed to the mountains for hiking and camping. After college, she lugged her guitar and synthesizer to Paris, only to lose her green card a year later. She spent the next two years back home in Washington working in secondary education. But a trip to Nashville changed her life. Successful performances at the Bluebird Cafe and other venues convinced her to move to Music City to pursue a professional career as a singer-songwriter. Bleu's music accomplishments have been substantial since then. Her recent single, "The Shadow", quickly climbed various NMW charts, reaching number four on Top 40, number four on Hot 100 A/C, number five on Top 40 Internet, and number one on Indie Top 40 (where it remained for six consecutive weeks). Her sixth album, "Souvenir", generated five top-40 hit singles on various charts, with the song "Addicted to You" receiving "Spotlight" recognition in Cashbox Magazine. Other hit singles from previous albums include "When I Hold Your Hand" and "Hopelessly in Love". "I want to be as inclusive as possible, providing music that is inspiring, empowering and joyful," added Bleu, who returns home to Spokane every summer for songwriting, while enjoying the outdoors of the Great Northwest. "My songs speak to individuals from every walk of life." Bleu said there is nothing better than playing live in front of enthusiastic audiences. She has performed at a wide range of Nashville venues, even taking the honors of being the showcase artist for BMI and Bluebird Cafe shows. She is the recipient of the prestigious "Arena Award", an honor bestowed to legendary artists such as Reba McEntire, Dolly Parton, and Jo Dee Messina. 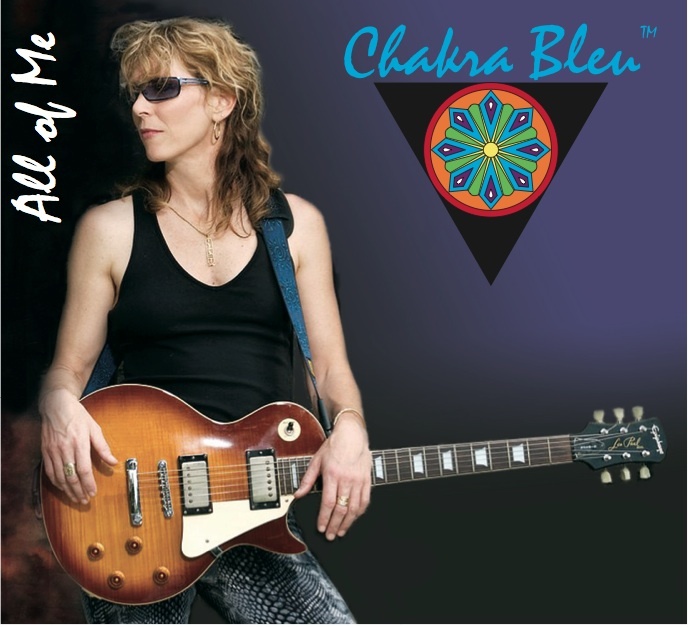 For more information about Chakra Bleu or to hear her music, visit www.ChakraBleu.com. To book the artist for an upcoming event, send an e-mail message to 1746Records@chakrableu.com.